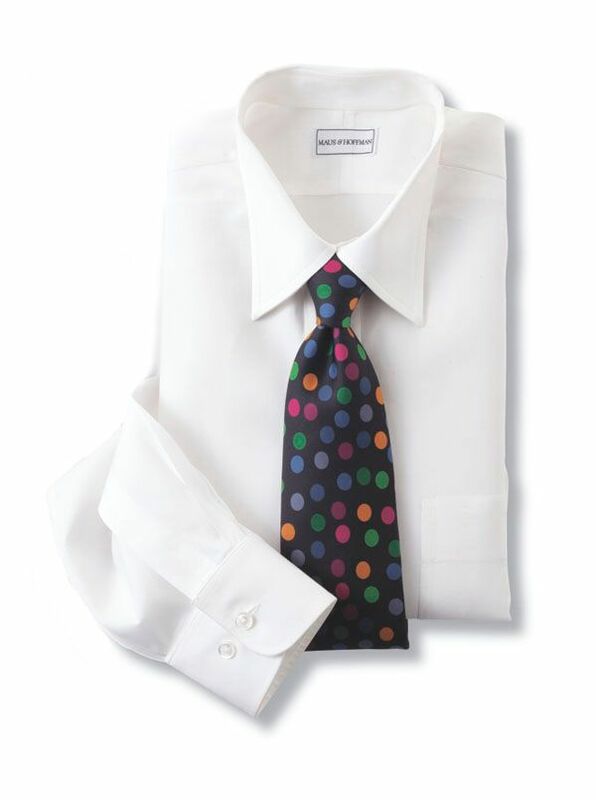 M&H White Dress Shirt tailored of 2-ply 120's count cotton broadcloth. Button cuffs single pocket point collar. Made in America.